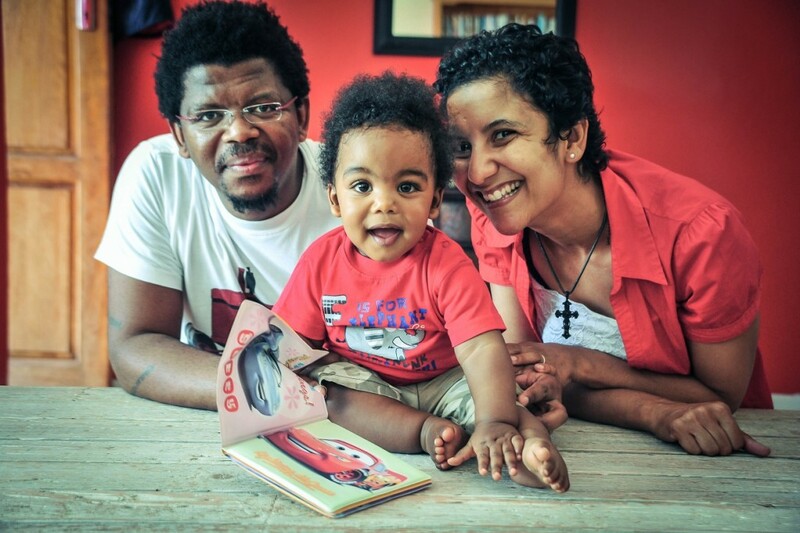 For a healthy woman, home birth is an option that is not often considered in South Africa. Many women seem to desire to give birth in any number of private hospitals where their caesarian section rates are approximately 80%. Most women do not know that home birth is an option, especially when a natural birth is desired. Even in the public hospitals, most women go to hospital to give birth and home birth usually only occurs when there is no way of getting to a hospital on time. Home birth, with a qualified midwife attending, is statistically safer than a hospital birth for a low risk healthy pregnant woman. More than 85% of women are able to give birth naturally. There are so many advantages to homebirth, and it is safe provided the mother has pre – arranged access to a hospital if the need arises for transfer. 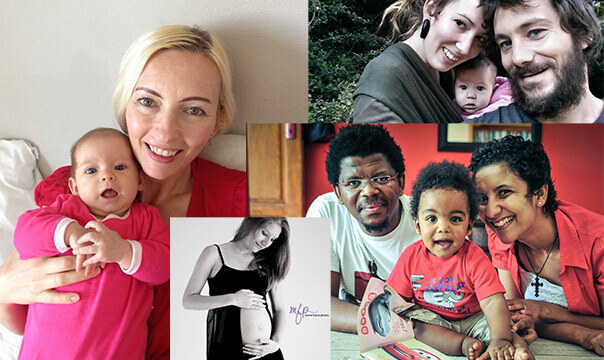 Seven South African women share their stories below. “For me it was an amazing way to bring our little girl into the world. Home birth offers privacy, no unnecessary medical intervention and the comfort to not have to travel around with baby. Also no unknown germs or superbugs exposure. 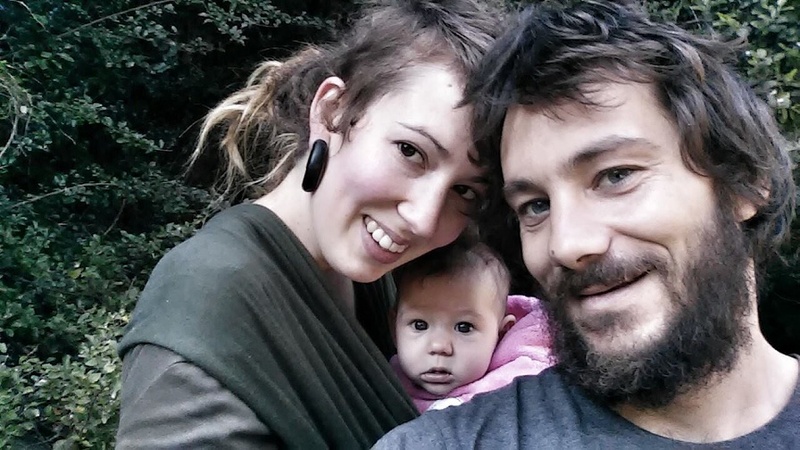 “First and foremost my reason for choosing a homebirth is that I don’t have to leave the comfort of my home. I felt relaxed and calm because I was in my own space and environment. I had 2 hospital births and 2 home births and the home births were by far the most special and intimate births. There’s nothing better than making yourself a cup of tea or resting in bed in between the starting contractions. You get to build a relationship with your chosen midwife and shes with you throughout your labour and birth. And having a midwife around you who’s so caring and motherly is the cherry on the cake !! “I chose a home birth because I wanted to be in a space where I can relax and feel safe. Where I can be myself and have people with me that I know and trust. I wanted the freedom to do what I want and when I want in the comfort of my own home. I had no idea what to expect, but I knew that I want to deal with birth in a way and place where I feel comfortable and safe. Where I can lie in my own bed with my husband and baby after birth. Just the idea of an hospital scared me and I don’t think the birth of my baby would have been so beautiful and magical if I was in a hospital. “Birth is such a huge event for everyone involved and to me, being alone in a hospital immediately after such a big life event is traumatic. • being surrounded by loved ones and supported by a small group of people who know me – family and midwife, instead of random nurses and staff running into my room doing things to me (for me) and giving me things. • being able to rest and recover better in a much quieter environment than the hospital with staff not paying attention when you are sleeping or trying to rest…. I think most of all being together as a family immediately after the birth and not being separated. That was always the biggest one for me. Also feeling safe. Knowing that I will cared for by someone acting in the best interest of me and my baby rather than being dictated by the insurance covering them against legal action. “Being pregnant for the fifth time and having birthed four children in indifferent surroundings I knew this time I needed a truly amazing birth experience. I was scarred from the remembrance of having to deal with the pain of labour and birthing with limited knowledge and support. Having a home birth with midwives; women who knew birth, women who knew what a mother needs, women who trusted that I would know what I needed to do to deliver my child into the world; was the best thing I ever did. “A certain Maternity hospital was the only hospital where I could give birth to my first child with the assistance of my chosen midwife. In order to get on the books at this particular hospital I had to have a check-up there first. I was prepared for the long wait and the paperwork. What I wasn’t prepared for was the attitude of the public sector midwives. As my consultation with the gynaecologist drew to a close one of the midwives burst into the room demanding to know how it was that I had first seen the gynae. Sensing my alarm at this intrusion, he ushered her out of the room. She was very upset that I hadn’t gone for ‘observations’ with a midwife before seeing him. This was the procedure and she was very loudly berating the doctor for not following it. He calmly reassured her that the observation can be done afterwards and should a problem arise he would attend to me. Needless to say, I was very nervous about seeing the midwives when my turn for ‘observations’ came. 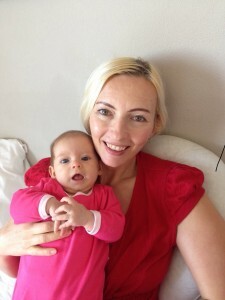 I left the hospital vowing not to subject myself or my newborn to the hospital midwives. Yes, I had my own midwife, but the hospital was their territory and I wanted to avoid exposure to them while labouring at all cost. My husband was unsettled by the news that our baby was no longer going to be born in a hospital (both of us as well as our siblings were all born in hospital, so that was our only point of reference for birth), but he accepted that that was what I wanted. In the end it was the best decision for our family. I was fully in control of my labour up until my water broke 25 minutes before our son’s arrival and less than nine hours into labour. My mother, mother-in-law and sister-in-law were all present. “At 10 weeks pregnant I consulted our family gynaecologist for my first scan. I was so excited to hear my little bambino’s heartbeat. Before the scan, the ob-gyn asked myself and my husband all the usual questions, she then told me something that I had been expecting, she said, “Prepare yourself for a c-section as you are too small to deliver naturally. Myself and my husband were not on medical aid so having to birth my baby in a private hospital would cost a fortune especially since I “needed” a c-section. We decided to take a look at semi-private hospitals where we needed a private midwife to oversee the birth. After taking a look online, I set my heart on a midwife, her website showed how intimate birth was or is supposed to be and I loved her way of expressing the birthing experience. We made an appointment to see the midwife and she literally spent over two hours consulting my husband and I. She deeply expressed how important birth is to both the mother and the baby. Now, in my upbringing, and I am sure I speak on behalf of almost everyone: homebirths are definitely not something I thought about. My biggest fear was, WHAT IF SOMETHING WENT WRONG?? Myself and Chris went home that day, I watched every single video available about home births and Hospital births, and guess what? There were NO cons about a homebirth yet a great number of cons with hospital births. I weighed out my pros and my cons, with a homebirth you are in control without any unnecessary distractions, a warm feeling of your own space, able to eat, drink, play your favourite music, take baths, burn some candles and most importantly the ability to move around freely. Unlike the hospital feel which include, vaginal check-ups every several minutes, strange doctors in and out of your room or your room shared with other people, bright lights, stainless steel railings all around, unable to move around willingly, confined to a bed and not allowed to eat. Not to mention, the caesarean rate is terribly high. That was it, I wanted it, I wanted a Homebirth. I attended Hypnobirthing, where you are trained to focus on your body, your mind, your feelings, your baby, but most importantly, a safe and comfortable birth; a birth that you cannot get in a hospital. Your body is designed to birth babies, naturally and easily. Just like a cat or dog, in labour, they flew to a safe, warm and comfortable place like your wardrobe, where they can birth their litter without any interventions and interruptions. I wish, I really wish all moms to be could look into homebirths. I wish all moms would say NO to being “sheeped” into hospital births and unnecessary c-sections. I really hope one day, all women could see that just because they only know about Hospital Births, DOES NOT make it the right or the only option. Thank you for sharing your journey. I just found out im pregnant. I will definitely go for home birth. I wouldn’t want birth any other way. To welcome your little one into the world in familiar environment surrounded by love and people tou love. Free to do whatever your body feels, prompts only when necessary, in the arms of loved ones, support from loved ones, no hospital smells, comfort all around as you are in your own home…..I feel my body relaxed way more than it would have in a hospital. I was 42 weeks and doctor induced me and I was supposed to birth in hospital, but luckily things progressed quickly and our initial plan realised, minus the birthing bag, but still so magical. Privacy and comfort, pure bliss. And to enter our boys room and know he was delivered right there……just magical! Thank you Drienie for sharing your story too!